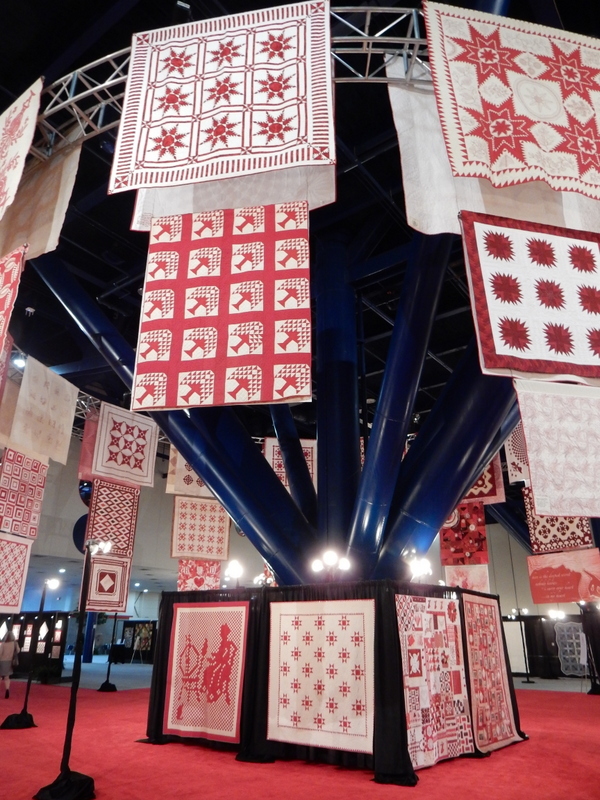 The 2014 International Quilt Market held this fall in Houston, Texas was inspiring as always. And of course, there was no place like Moda! 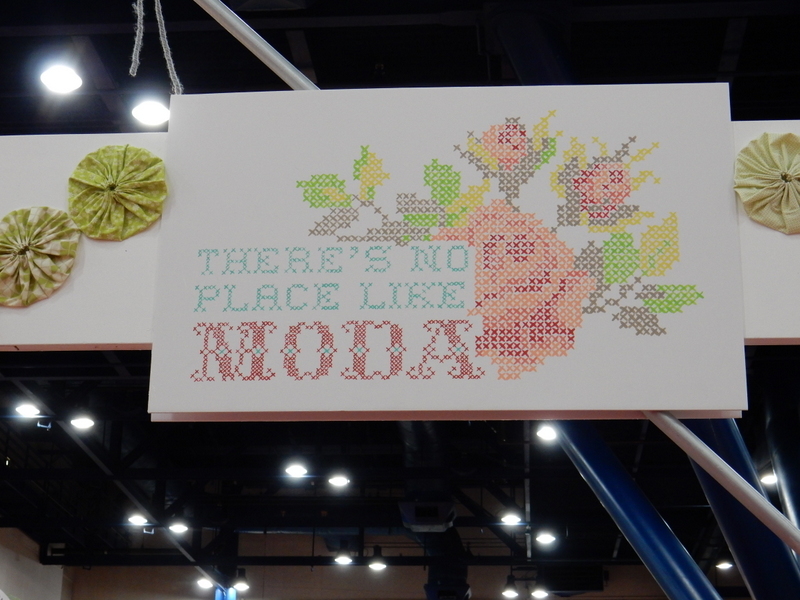 From the beautiful cross-stitch welcome sign to the whimsical fabric yo yo’s to the incredible displays in every single Moda designer booth, the decor delivered as promised…and inspiration was around every corner. Although I wasn’t able to get photos of every display, here is an inspiring sample of the booths by the Moda designers. 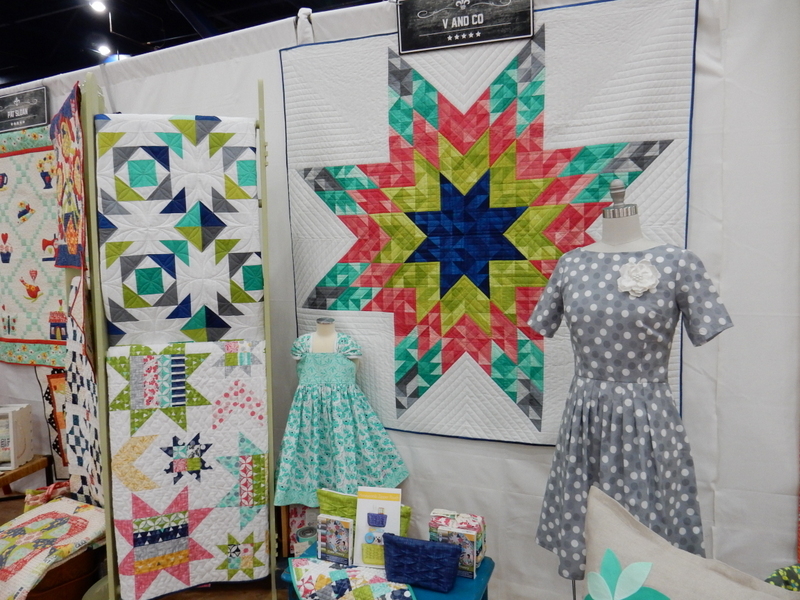 Kate Spain’s “Tradewinds” quilt pieced in her Paradiso collection was a striking backdrop for her booth which featured two other quilts, accessories, and fabrics! 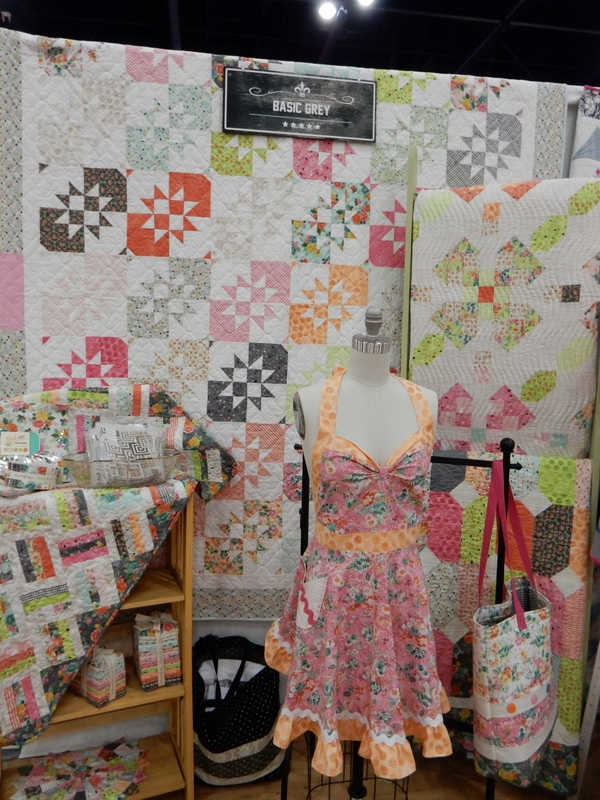 The Fig Tree booth featured full size and mini quilts pieced in the upcoming Aloha Girl collection. 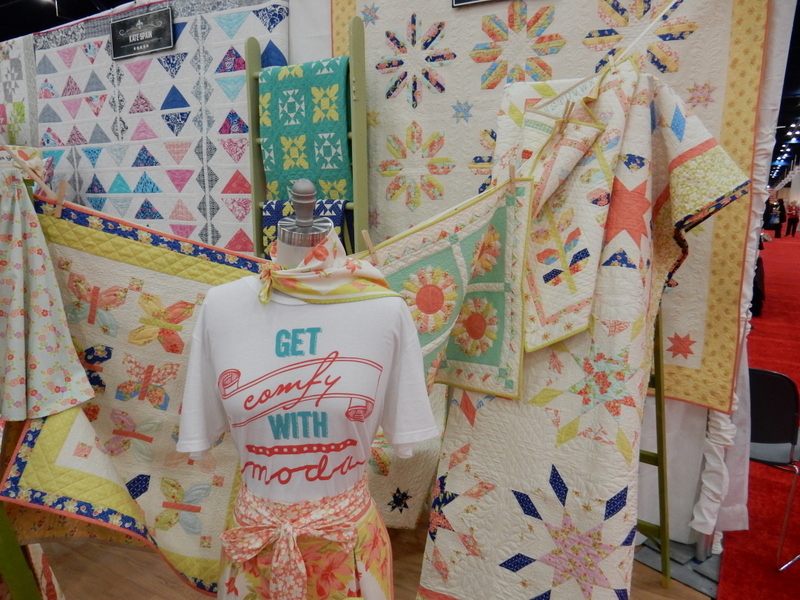 And the “Get Comfy with Moda” tee shirt was a fun reminder of the delightful Moda Schoolhouse presentation. Basic Grey’s Fresh Cut collection was another inspiring breath of fresh air. And Janet Clare’s More Hearty Good Wishes brought a delightful touch of the sea to the designer row. 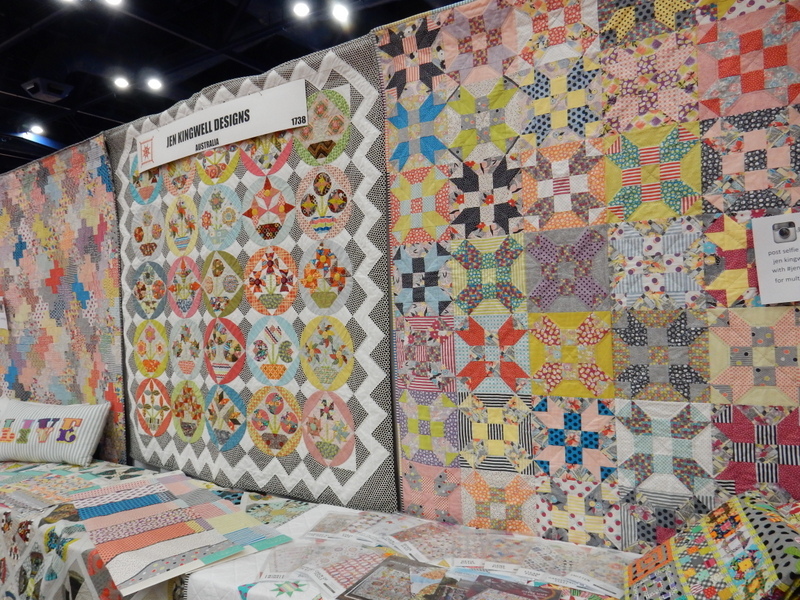 The beautiful Color Theory booth display by Vanessa Christensen also featured a variety of projects: quilts in a variety of sizes, clothing and accessories were beautifully pieced in a splash of color! 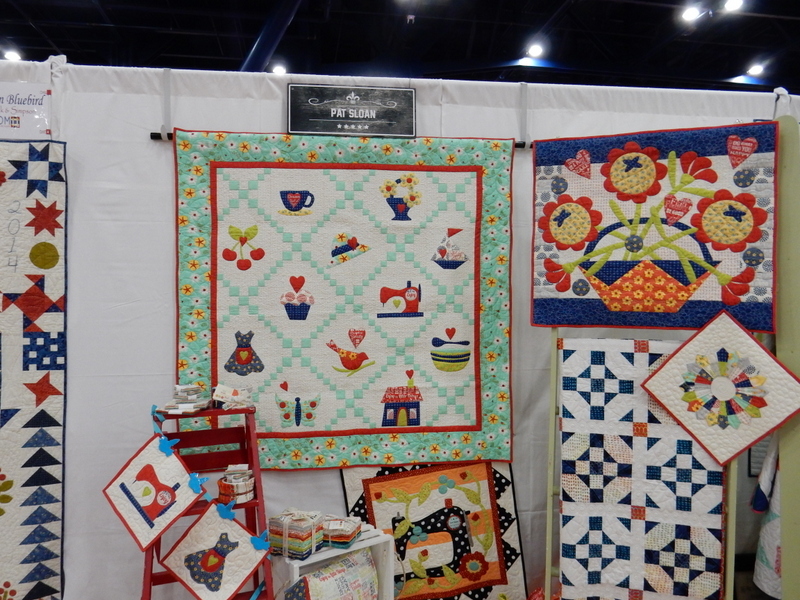 Another delightful and colorful booth was Pat Sloan’s display featuring The Sweet Life. 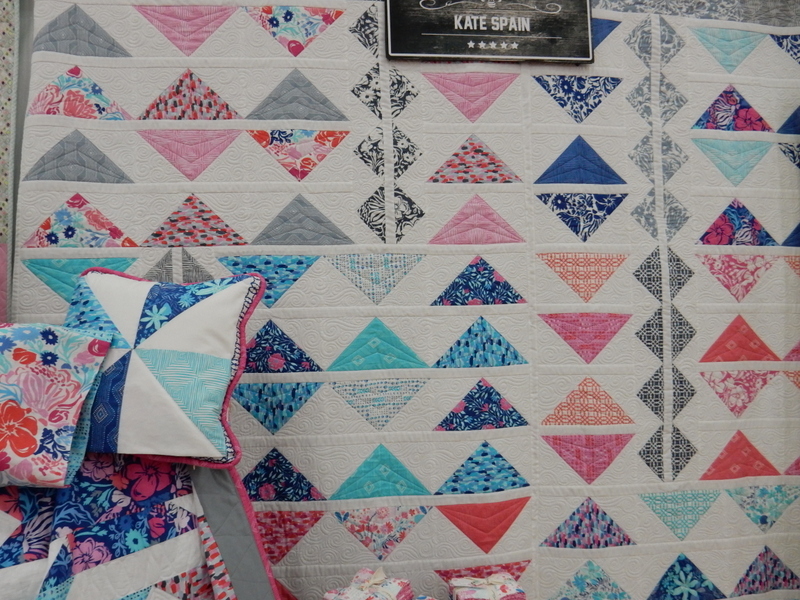 And while there were many things to see in the Minick & Simpson booth, their upcoming block of the month quilt, the Austin Bluebird Sampler quilt was stunning. 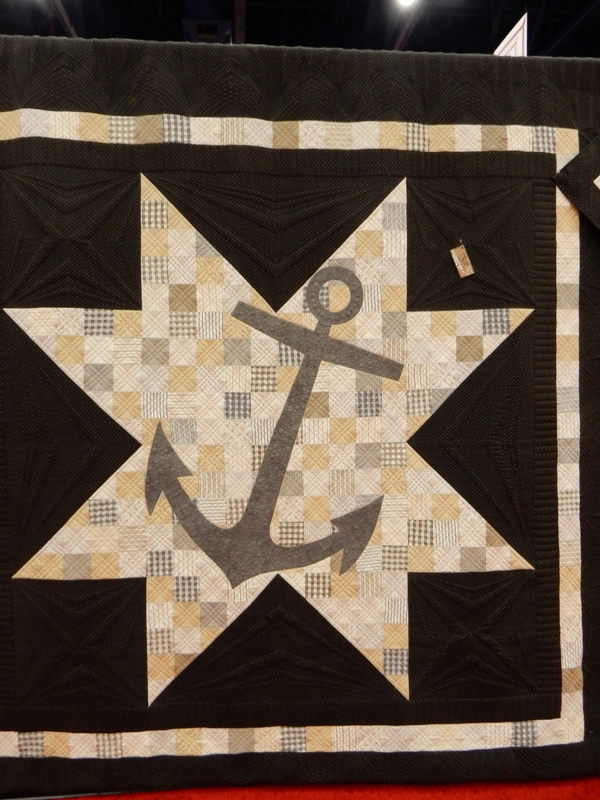 I’d seen this quilt on-line and could hardly wait to see it in person! The Sweetwater booth featured Feed Company…another collection I fell in love with at first sight. And Me & My Sister Designs had a delightful display featuring Bandana! I didn’t get nearly enough “people” pictures at this market, but I’m so glad I was able to get a photo of Bonnie & Camille. 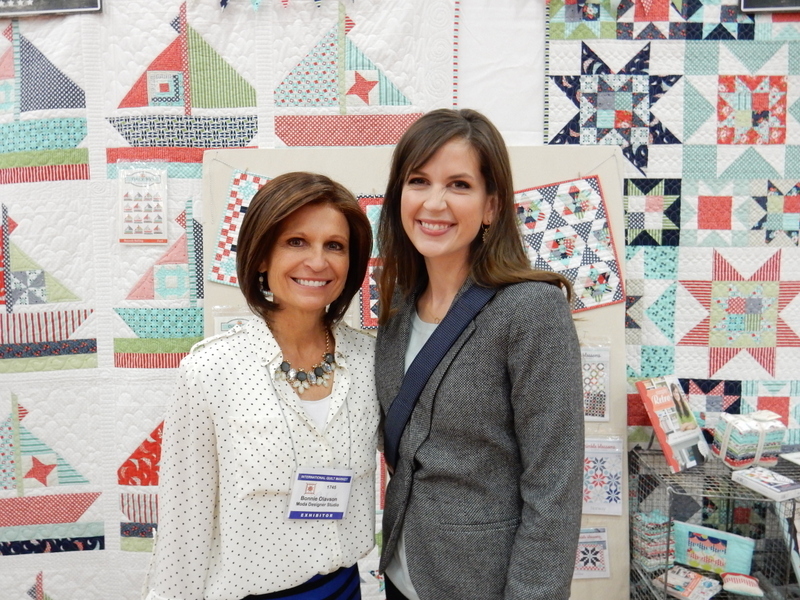 It was so wonderful to see them together with their gorgeous quilts featuring their upcoming Daysail colleciton. 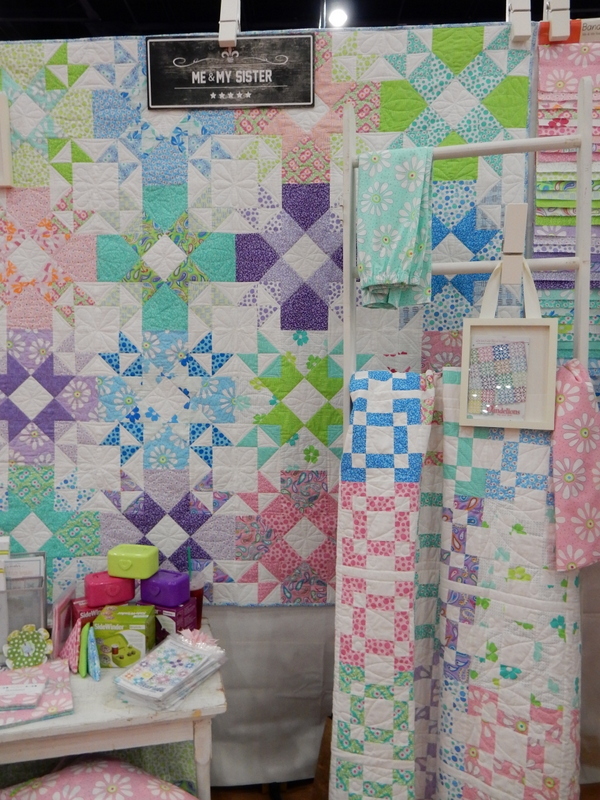 The Laundry Basket Quilts booth featured Edyta’s upcoming Sticks & Stones collection. She also had her new book, Handful of Scraps and a gorgeous journal as well. 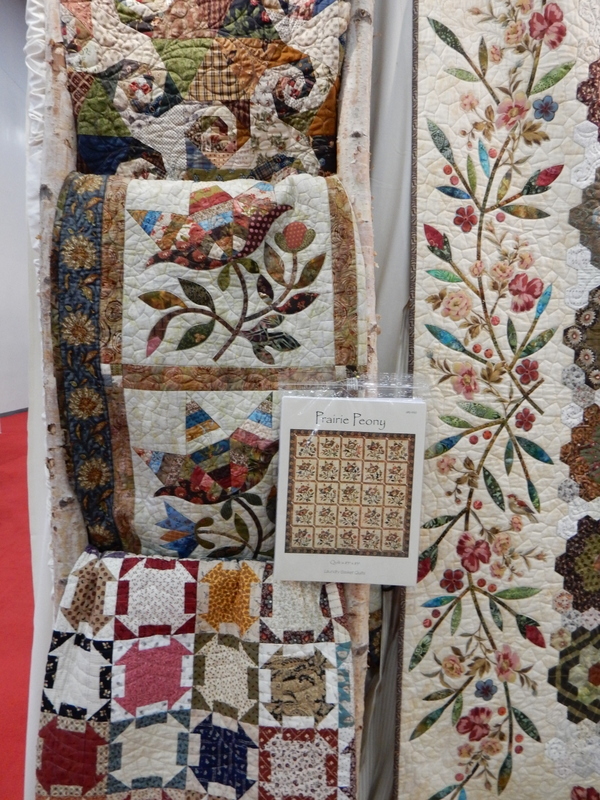 Jen Kingwell’s beautiful Gardenvale fabrics were beautifully displayed in her stunning quilts. 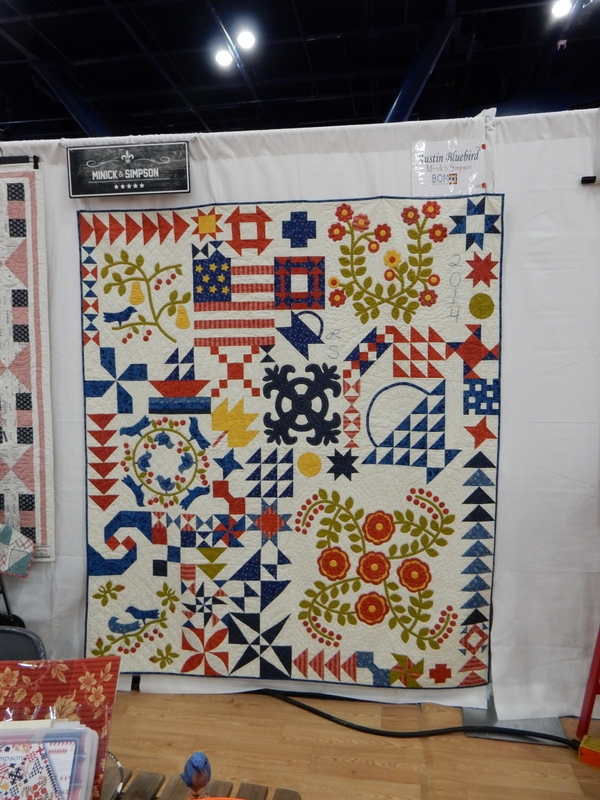 And Lisa Bongean’s Lakeside Gatherings was presented beautifully in quilts large and small. She also debuted her new beautiful flannel collection. 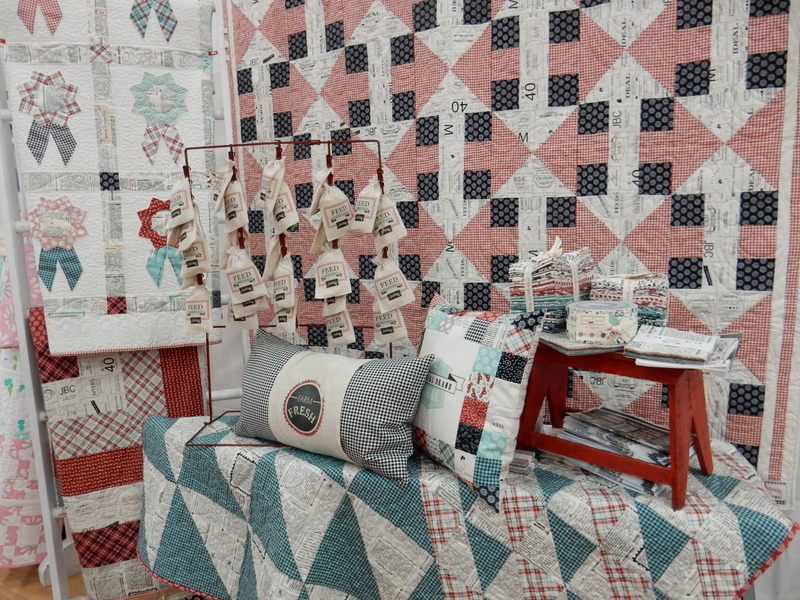 Finally…a quilt market post just doesn’t seem complete without a photo and a mention of the beautiful and completely awe-inspiring Ruby Jubilee Celebration of beautiful breathtaking red and white quilts. 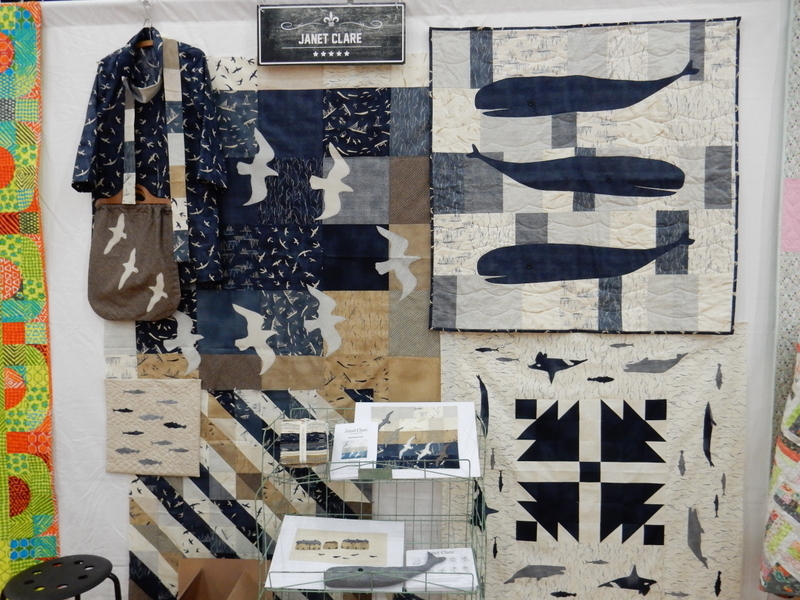 As soon as I arrived at market I heard about this collection, but I waited to visit this part of the show until just before I headed home…it seemed such an appropriate way to head home…refreshed, inspired, and ready to quilt! Which of these upcoming collections most inspires you? Laundry Basket’s Sticks and Stones makes my heart jump! I love the colors. Janet Clare’s More Hearty Good Wishes really caught my eye! Fig Tree Aloha Girl fabric!! It is beautiful! Another vote for Hearty Good Wishes by Janet Clare – a real breath of the seaside! I love many of them, but the Austin Bluebird from Minick & Simpson has captured my heart! I won a fat quarter bundle of Aloha Girl from the Fat Quarter Shop and it is a beautiful collection! I’m searching for the perfect quilt to use this fabulous fabric. Bonnie and Camille are one of my favorite designers and I love their new line, Daysail. Love the fresh and bright colors of the Bandana line by Me and My Sisters. This was my first time at The festival in Houston and it was an incredible experience!! The quilt displays were very fitting for a ruby anniversary! They were stunning!! Thanks for the great pictures of a cherished vacation!! lakeside gatherings!!!! !…..always look forward to seeing the new collections from Lisa. I love to spend time with family!